It’s that wonderful time of year when we gather with friends and family over tables and tables of finger food, also known as the holidays. It’s just also happens to be a very busy time of decorating, planning and shopping. That’s why it’s a good idea to have an arsenal of quickly prepared hors d’oeurve recipes you can whip up and take to parties with little notice or preparation time. It’s also the perfect time to show your friendship in action by a doing little things to help one another celebrate the season. 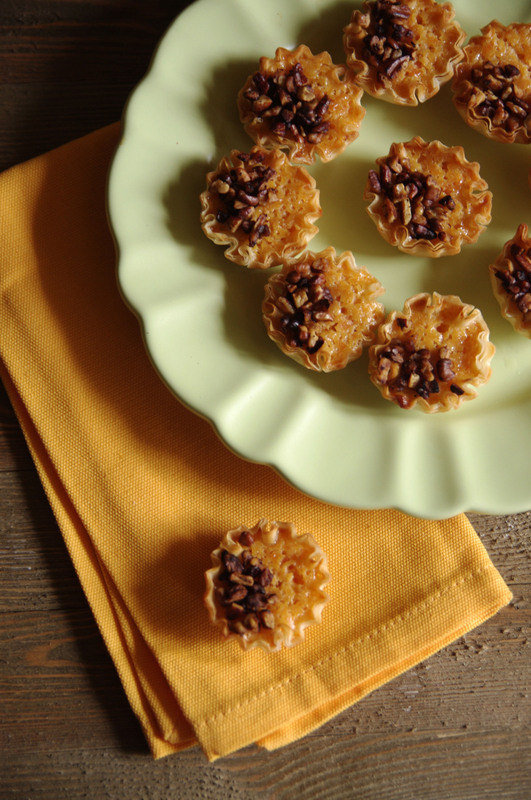 Here’s a tip for hosts and hostesses: Let your guests help! When someone asks what he or she can bring to your party, assign them something. Most of the time, they really are happy to help and are asking you in all seriousness. Not piling all of the party responsibilities on yourself is one of the best things you can do to allow yourself to actually enjoy the party. You’ll be doing yourself and your guests a favor by letting them join in the fun and giving yourself some time back to really celebrate the season. Have a wonderful and safe holiday season! Read more recipes like these in City Social magazine and at www.citysocial.com. Mix together pumpkin and powdered sugar. Stir in cream cheese, cinnamon and nutmeg. Fold in whipped cream gently. Chill until ready to serve. Serve with ginger cookies for dipping. Preheat oven to 350 F. Stir together mascarpone cheese, sour cream, egg, cane syrup and sugar. Stir in sweet potatoes and vanilla. In a small skillet, melt butter over medium heat. Stir in pecans and sugar. Toast for 5 minutes or until brown. Spoon filling into shells placed on baking sheets. 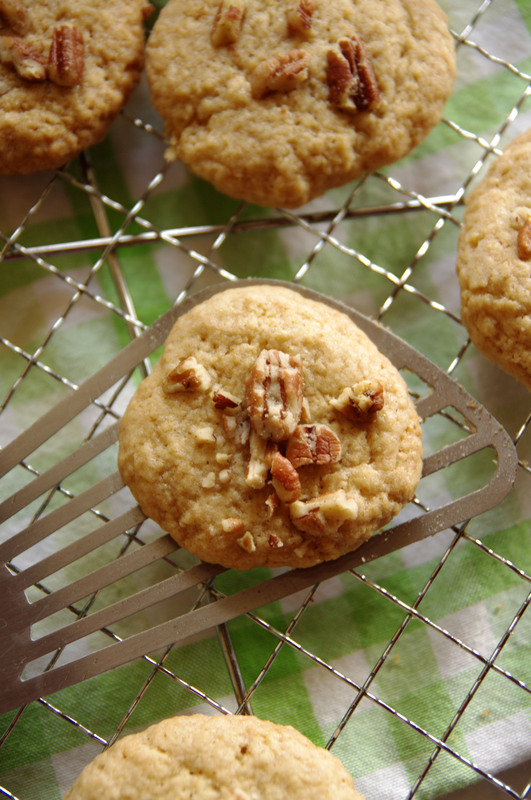 Top with toasted pecans. Bake for 15 to 20 minutes or until set. Cool on wire rack. Serve or refrigerate until ready to serve. Preheat oven to 375 degrees F. Allow puff pastry to thaw. Cut the pastry into approximately 3- x 3-inch squares. Press each square into a mini-muffin tin. In a small bowl, whisk together cheese, honey and milk. Spoon a little cheese in the bottom of each pastry. 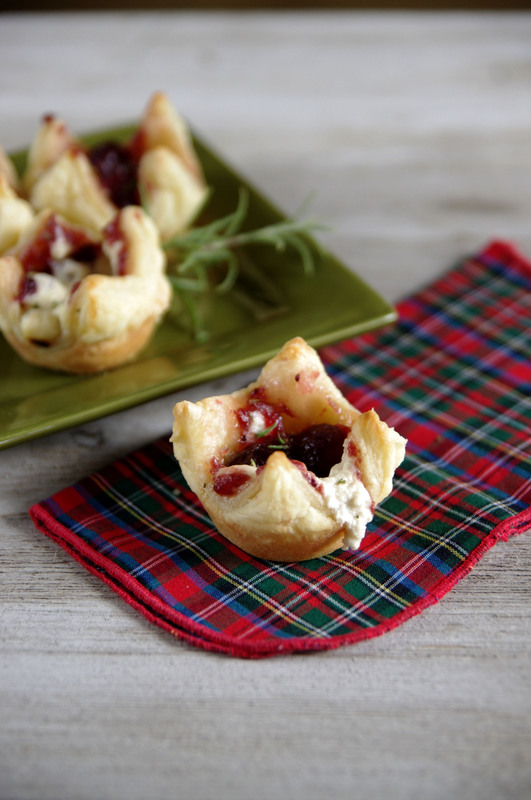 Top with cranberry sauce. Pull together all four corners of the pastry and pinch together. The will “bloom” while cooking. Bake about 10 minutes or until puff pastry corners are lightly brown. Sprinkle with rosemary. Let cool 5 minutes before serving. In a medium saucepan, bring sugar and water to a boil. Add cranberries and return to a boil. Reduce heat and simmer 10 minutes. Place a screen over the pot as the cranberries will pop as the cook. Stir occasionally. Set aside to cool. Serve anytime. 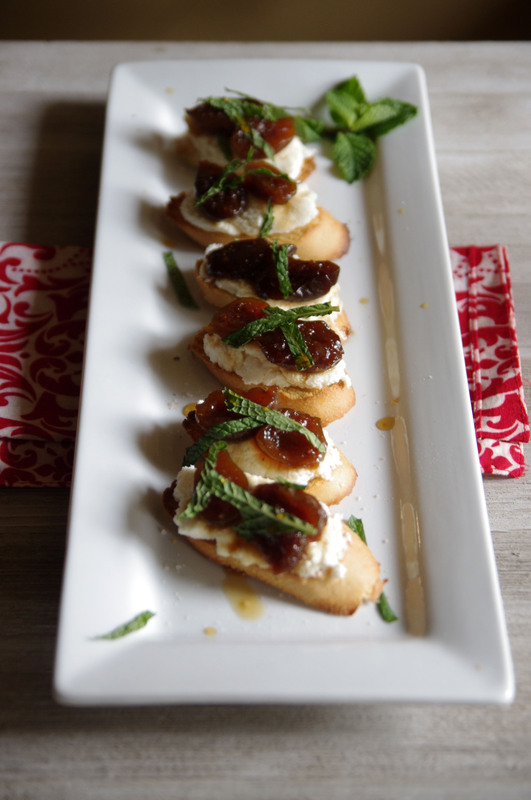 Spread ricotta on each crostini. Top with two fig halves. Sprinkle mint leaves and drizzle with fig syrup. Sprinkle a pinch of sea salt on top before serving. Serve immediately or chill and serve later. They say it takes a village, so why not invite your village over to prep some of these fast and freezer friendly meals together? First, gather a few friends who don’t mind working closely together in sort of an assembly line. Ask everyone to submit a recipe or two and vote for your favorite five meals. Look for things that can be made in one or two dishes for simple preparation. Set aside a date and at least 3 hours to prepare meals for the freezer. After your freezer prep party, everyone will take home a few stress-free nights’ worth of easily prepared meals and you all feel very accomplished. Feeling accomplished goes a long way in a busy mom’s life! Here are a few recipes to get you started. Read more recipes like these in City Social magazine and at www.citysocial.com. In small bowl, whisk together brown sugar, salt, mustard, pepper, ginger and garlic. Seal in a freezer bag. Slice the onion and pineapple. Store in separate 1-quart size freezer bags. Seal the pork in a gallon size freezer bag or ask your butcher to seal it for you. Place these smaller bags and the bag with the pork shoulder in one large bag or store the separate bags near each other in the freezer for up to 6 months. Allow the pork to thaw one to two days before you plan to cook it. When ready to cook, rub seasoning mixture over pork. Place pork, fat side up, in a slow cooker. Sprinkle sliced onion and pineapple over the top of the pork. Cover and cook on low heat for 7 to 8 hours. Remove pork from cooker and place on cutting board. (Reserve liquid from the slow cooker.) Remove fat off the top of the pork. 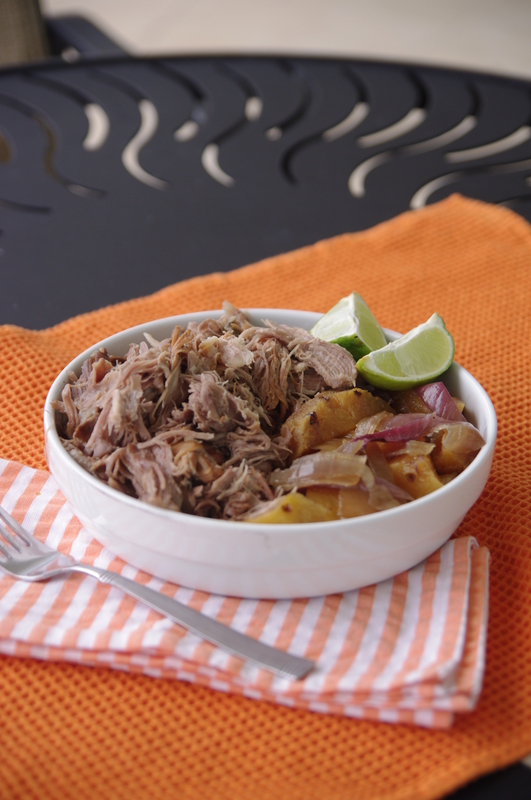 Shred pork by pulling two forks in opposite directions. Return to slow cooker. Stir in some of the reserved cooking liquid for desired moistness. Increase heat setting to high. Reheat pork after shredding the slow cooker for 15 to 30 minutes. Spoon pork mixture onto each roll or tortilla and top as desired with guacamole, sliced avocado, cheese, sour cream, etc. Yields 8 to 10 servings. If not frozen already, place peeled shrimp in a freezer-safe bag and seal tightly. Clean and remove the hard tips of the asparagus. Clean and slice the squash into rounds. Place the asparagus, squash and tomatoes in a large freezer bag. In a measuring cup or small bowl, whisk together the lemon juice and olive oil. Stir in the salt, pepper and seasoning blend. Pour the dressing in a small freezer-safe jar or small freezer bag. Tuck the dressing bag in with the vegetables. If using a jar, label clearly and store near the vegetable and shrimp bags. When ready to cook, take the shrimp and vegetables out the night before if convenient. If not, allow to thaw 30 minutes to an hour. Heat oven to 350 degrees Fahrenheit. 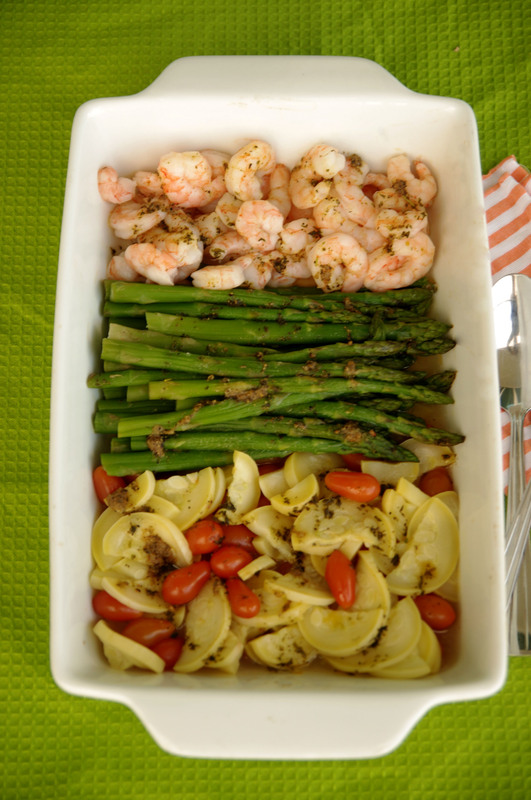 Spread the shrimp and vegetables in an even layer on a baking pan. Pour over the dressing. Bake for 10 to 20 minutes or until shrimp are pink and plump and vegetables are crisp tender. Serve warm. Yields 6 to 8 servings. *I used the Tuscan blend from Red Stick Spice Company. Cut the chicken breasts into about 2-inch pieces. Place in its own freezer bag and seal tightly. Slice sun-dried tomatoes julienne style then seal in a small freezer bag. 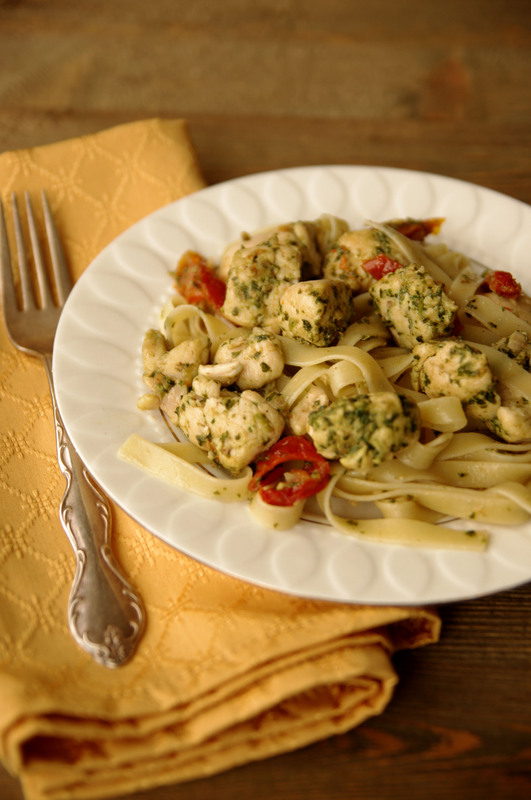 Combine basil, pecans, garlic and 2 tablespoons olive oil in the bowl of a food processor or blender. Blend to a smooth paste and set aside. Pour into a small freezer-safe jar or bag. Place the bag of chicken, the bag of sundried tomatoes and the bag or jar of pesto in one large bag or container to keep everything together. Allow to thaw about 30 minutes up to one night before cooking. Boil pasta according to the directions. Sautee the chicken and pesto in a large Dutch oven over medium heat until the chicken is cooked thoroughly, about 8 to 10 minutes. Stir in sun-dried tomatoes. Toss with cooked pasta and serve warm. Yields 4 to 6 servings. A seersucker and Sazerac-themed party is perfect for a summer gathering. 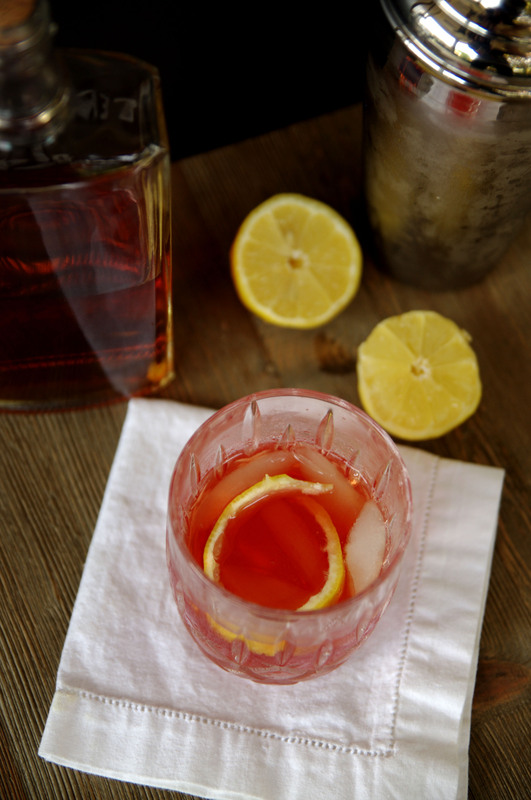 At your party, you’ll naturally want to serve Sazerac’s. This iconic southern cocktail can be made simply in its purest form, but feel free to set out a variety of accoutrements like orange peel and cherries in case your guests are more “old-fashioned” fans. Set up a bar with all the ingredients, the proper measuring tools and added fixings then let your guests craft their own cocktails. It’s helpful to include a framed sign with the basic Sazerac recipe on the table. For the food, plan to serve some classic southern party dishes. 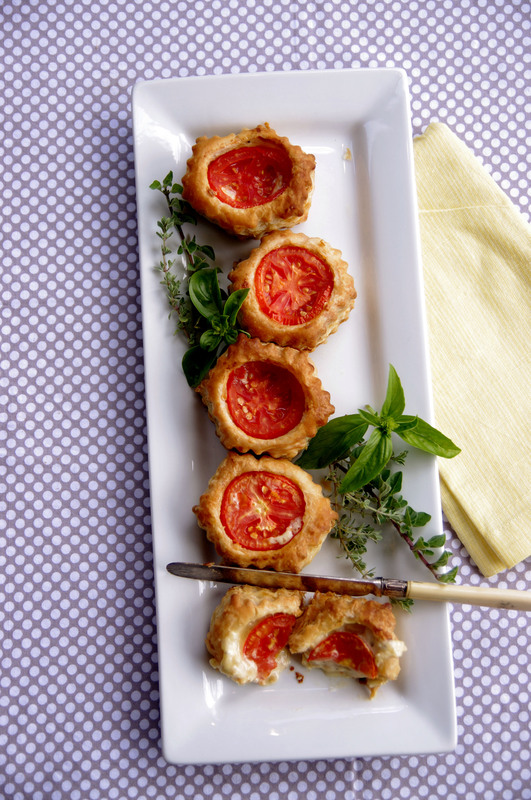 Everything from cucumber canapes to rich tomato pie in bite sized portions will complete the menu. 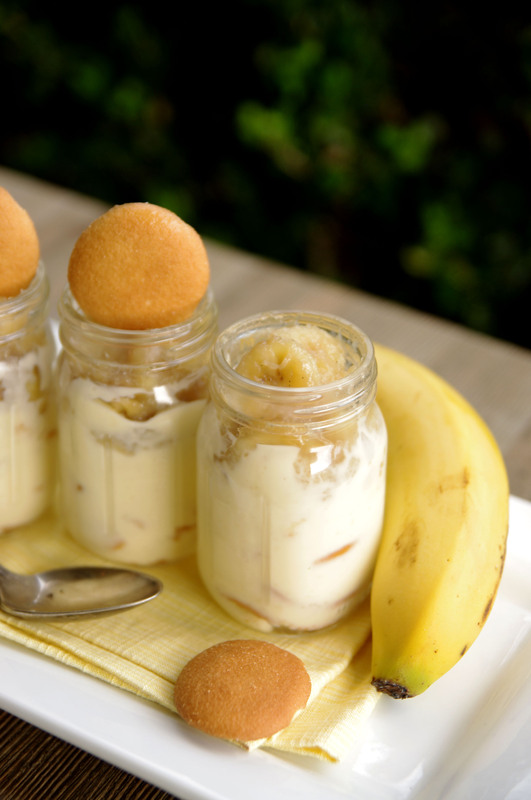 For dessert, try this scratch made bourbon infused banana pudding that takes this classic to a new level and fits right in with the theme. Read more recipes like these in City Social magazine and at www.citysocial.com. Place the absinthe in a double Old Fashioned glass and roll it around to coat the glass. Pour the whisky and bitters in a cocktail shaker filled with crushed ice. Toss in the sugar cubes. Shake and strain into the absinthe-coated glass. Garnish with lemon or orange peel and serve over more ice if desired. Heat oven to 350 degrees Fahrenheit. Prebake the puff pastry shells according to the package. Slice tomatoes 1/8 –inch thick and lay one slice in the bottom of each baked shell. Sprinkle onion over the tomatoes. Season with salt, pepper, oregano, thyme and 1 tablespoon basil. In a separate bowl, mix mayonnaise, cheese and garlic. Spread the cheese mixture over the tomatoes to the edges of the shell, about 2/3 full. Place another slice of tomato on top and tuck it into the edges of each shell. Bake for 10 minutes. Let stand 10 minutes before serving. Garnish with basil leaves and fresh herbs. Serve warm. Cut one cucumber in half and remove the seeds, but leave the peel. Shred the cucumber and place in a medium mixing bowl. Mix in softened goat cheese, sour cream, garlic, salt and pepper. Mince fresh dill and stir in cheese mixture. Chill for at least one hour up to overnight before serving. Thinly slice the second cucumber. Bias cut pumpernickel bread and toast lightly. 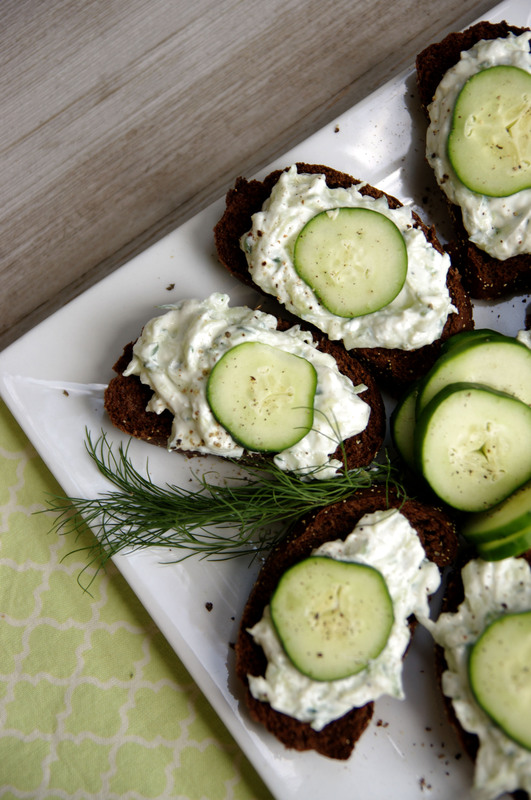 Spread the cucumber cream mixture onto each slice then top with cucumber slices. Garnish with dill sprigs and serve. In medium saucepan over medium-low heat, heat cream until bubbles form at edges. Don’t let it come to a full boil. Add sugar, cornstarch and salt and stir constantly until dissolved. Continue to cook and stir until mixture thickens enough to coat the back of a metal spoon, about 5 to 7 minutes. Remove from heat, stir in vanilla and 1 tablespoon of the butter. Allow to chill while you prepare the bananas. Slice the bananas in 1/4-inch slices. In a skillet over medium heat, cook the bananas with the brown sugar and remaining 2 tablespoons butter until the sugar and butter are melted and starting to bubble. Add the butter and cook stirring constantly for about 3 to 5 minutes. Remove from heat. Place cookies in the bottom of small serving dishes. Spoon some of the pudding mixture onto the cookies. Then top with banana mixture. If your small dishes allow, repeat the layers once more. Chill until ready to serve. Garnish with cookie crumbs before serving. Strawberries are actually a member of the rose family and have grown in both America and Europe for centuries. Strawberries are likely the sturdiest of berries as far as storage goes. 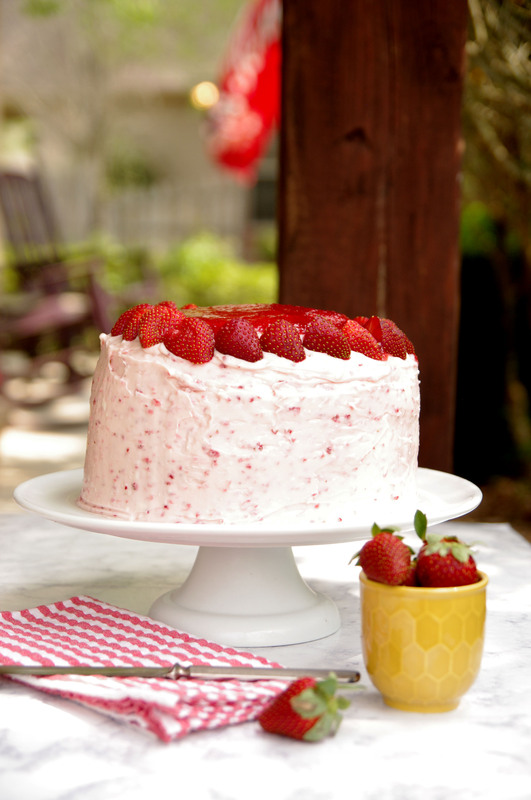 Fresh strawberries can be incorporated in both sweet and savory dishes. 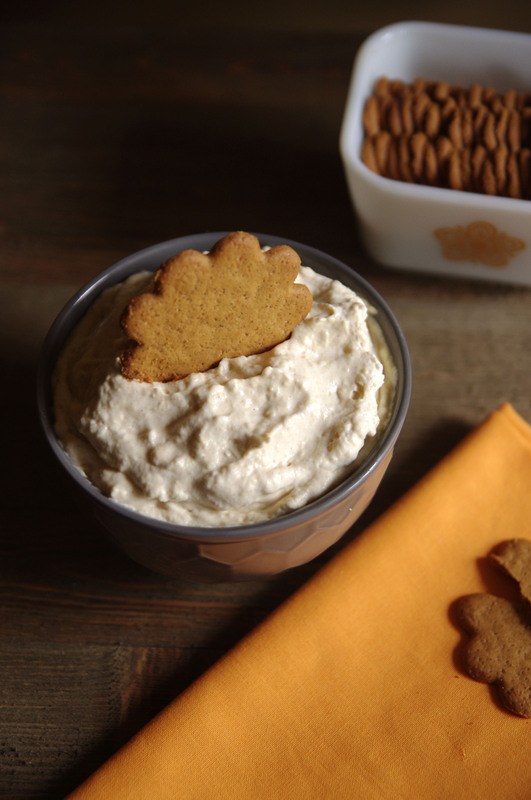 They can also be enjoyed with a simple whipped cream or mascarpone cheese spread as well. If your berries aren’t quite as sweet as you’d like them to be, half them and sprinkle a bit of sugar on top and let rest for about 15 minutes. 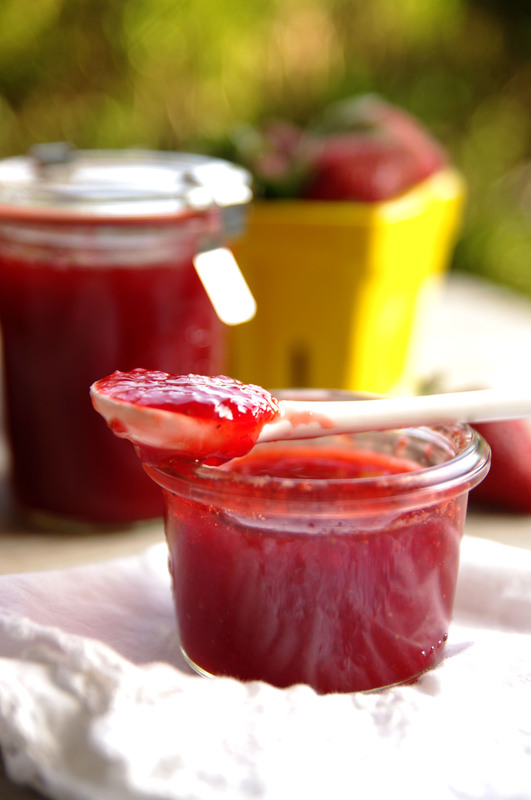 The sugar will draw out the moisture from the berries and leave you with a sweet, strawberry syrup. Then, serve the berries and syrup with pancakes or waffles if you like. Strawberries are a healthful addition to your diet. The sweet little berries are packed with vitamin C, fiber, folic acid, antioxidants and more. One cup of strawberries provides more vitamin C than an orange – and leaves less of a juicy mess down your forearm than an orange does, too. Fresh, locally grown strawberries are at their nutritional best. After strawberries are stored for just two days, they begin to lose their levels of vitamin C and antioxidants. They’re safe to eat well after two days, but you’ll be getting less of the berries’ nutrients. Sterilize jars in a canner or heavy stock pot filled with boiling water. Puree strawberries in a food processor. Do not drain. Heat pureed berries, lemon juice and vanilla in a heavy Dutch oven over high heat. Stir in pectin and heat until the mixture reaches a rolling boil. Stir in the sugar until melted. Return to a rolling boil. Boil hard one minute, stirring constantly. Remove from heat. Skim off any foam that may have formed on the top of the strawberry mixture. Pour into dry, hot jars and seal lids fingertip tight. Process for 10 minutes in boiling water in a canner or stock pot. Puree strawberries in a food processor. Strain away almost all the liquid with a sieve or cheese cloth. In a large bowl, beat softened butter and cream cheese on medium speed until smooth, about 2 to 3 minutes. Mix in strawberry puree on low speed. Stir in vanilla. Add powdered sugar adding one cup at a time until icing is a thick, spreadable consistency. Spread on any cooled cake or cupcake and serve. Store iced cakes and any leftover icing in the refrigerator. Our state has long been a melting pot for different cultures, so our cuisine has evolved to reflect the influence of many different countries. In fact, quintessential Louisiana fare like jambalaya and gumbo were born from a blend of cultures. This evolution continues to deepen with new combinations of flavors today. Cajun-Asian, or Casian, fusion has become a new culinary trend in Louisiana. It’s a combination of traditional Asian dishes with Cajun flavors. From boudin wontons to pulled pork egg rolls, many delicious Asian dishes can be kicked up a notch with some Louisiana influence. The following recipes are some traditional Asian dishes made with a Cajun twist. By adding some pepper jelly, cane syrup or other local ingredients, you can make these dishes a delicious blend of Louisiana and Asian flavors. Preheat oven to 425 degrees Fahrenheit. Line a baking sheet with parchment paper. Set aside. Whisk milk and eggs together in a bowl or shallow dish. Mix flour, salt, pepper and garlic powder in a shallow bowl. Place seasoned flour, egg and milk mixture and panko bread crumbs each in separate shallow bowls. Add chicken to flour and toss until evenly coated. 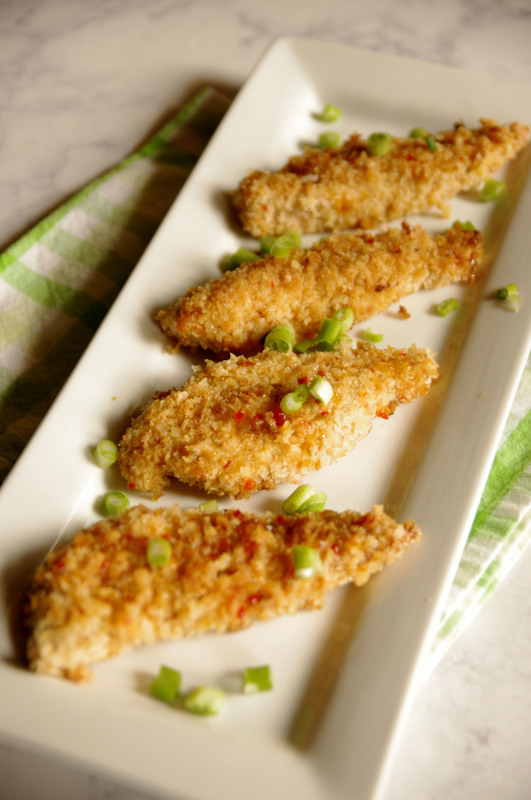 Working with one chicken tender at a time, remove from flour, shake off any excess then coat in milk and egg mixture and drain off any excess. Roll chicken in panko pressing to adhere. Shake off any excess and place on baking sheet. Repeat until all chicken tenders are breaded. Bake for 10 minutes, turn and bake an additional 10 minutes or until chicken is cooked through. Broil 1 to 2 minutes or until golden on each side. Let cool for 10 minutes while you prepare your glaze. In a medium saucepan, add orange juice, pepper jelly, brown sugar, cane syrup, red wine vinegar, soy sauce and ginger. Bring to a boil while stirring. Reduce to a simmer until slightly thickened, stirring occasionally. In a separate, small bowl, mix cornstarch and water to make a paste then add to the glaze. Remove from heat. Brush the glaze over the chicken. Garnish with orange zest and green onions and serve warm over rice, if desired. Rinse and pull off any loose or damaged leaves on the Brussels sprouts. Trim any stems and cut the sprouts in half. Mince the garlic and green onions. Heat oil over medium heat. Add the onions garlic and cook until tender. 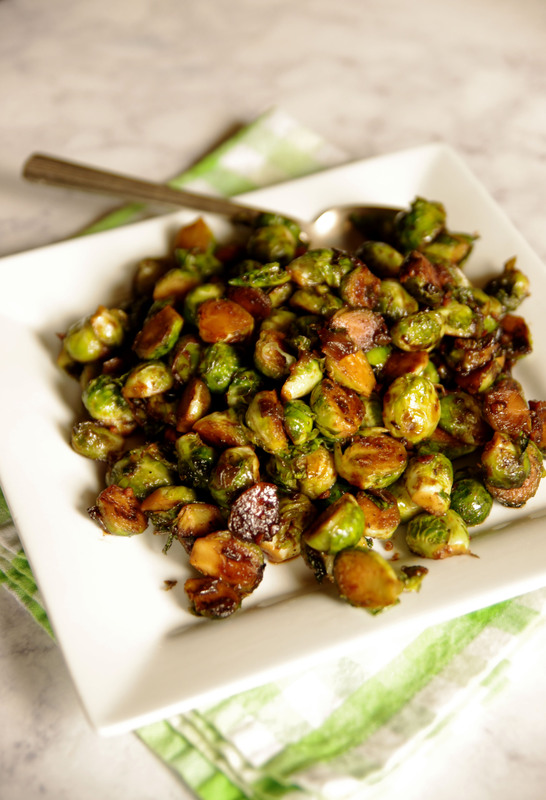 Add the sprouts and stir-fry until they start to turn brown (6 to 7 minutes). Whisk together the syrup, soy sauce, sugar, ginger and chili powder. Pour over the sprouts and stir-fry for a few more seconds until coated. Taste and adjust the seasoning, if desired. Serve immediately. Sift together flour, baking soda, salt and sugars. Cut cold butter into sifted dry ingredients with a pastry blender or two knives. Fold in egg and almond extract until fully incorporated. Knead in the bowl with your hands until the dough forms a ball. Shape into 1-inch balls and place on ungreased cookie sheet. Flatten cookies and press one almond into the center of each. Place pecan pieces or a pecan half in the center. Bake 12 to 15 mins at 350 degrees Fahrenheit. Cool on a wire rack. Store in an airtight container for up to one week. Sometimes dinner at home can be just as romantic as dinner at your favorite restaurant. Dim the lights, set the table with your best table linens, light some candles and cook up something you wouldn’t normally make at home. That’s all it takes to create the perfect romantic evening at home. This dinner is beautifully sophisticated for a date night in, while being simple enough for you have plenty of time to enjoy each other’s company. The lamb and sweet potatoes will do just fine to stay warm in the oven for a few minutes while you handle any clean up before dinner. Then all that’s left to do, after you scrape the last bit of mousse from your dish, is to relax with your favorite person. Finely mince the fresh herbs together. In a small bowl, whisk together the cumin, kosher salt, black pepper, brown sugar and pecan meal together. Stir in the herbs until evenly distributed. Lay the chops out on a board lined with paper towels. Pat the chops dry. Rub the seasoning mixture on all sides of each chop. In a large, heavy skillet heat the olive oil over medium high heat. 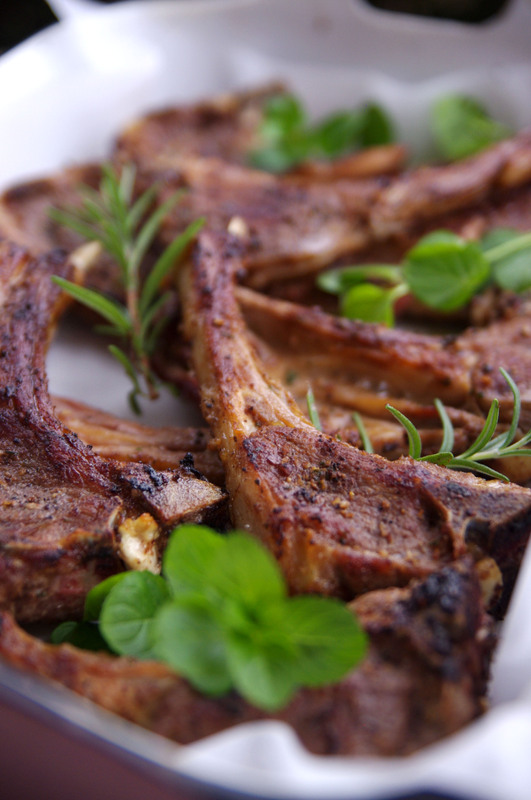 Sautee the chops over medium heat about 2 to 3 minutes per side depending on thickness. Cook until the meat reaches 140 degrees Fahrenheit for medium doneness. Drain on a paper towel-lined plate. Serve warm. Serves two to four. Peel and chop the sweet potatoes into large chunks. Place in a pot of boiling water and boil for 10 to 15 minutes or until fork tender. Meanwhile, whip the cream until stiff peaks form. Set whipped cream aside. Drain the sweet potatoes and reserve the broth if needed later. 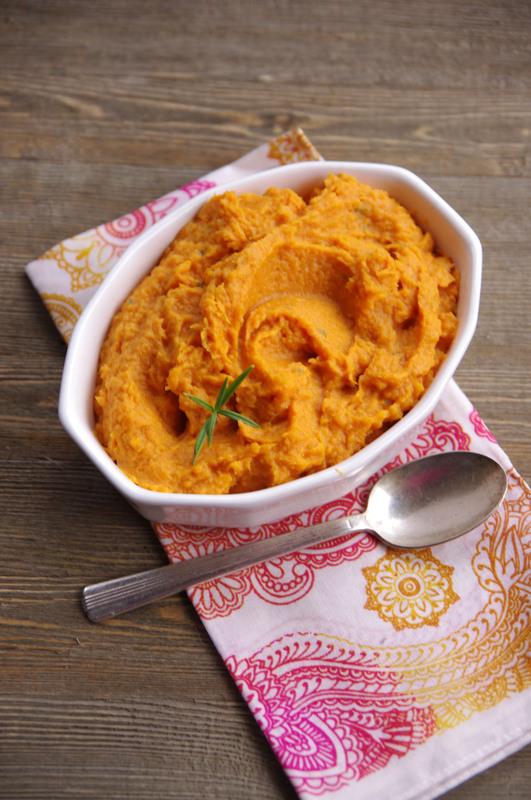 Add the butter and minced rosemary to the sweet potatoes and whip in a mixer until fluffy. If the potatoes seem too dry, add some of the reserved broth a tablespoon at a time until desired consistency. Spoon in the whipped cream and fold into the sweet potatoes in batches with a spatula. Work slowly so that the whipped cream doesn’t collapse completely, but is evenly mixed in the potatoes. Serve warm. Serves two to four. Heat water in the bottom pot of a double boiler to simmering. In the top pot of the double boiler, or a heat-proof bowl that will fit on your bottom pot, place the dark chocolate morsels and butter. Cook, stirring constantly until melted. Stir in egg yolks one at a time until blended. Stir in hazelnut extract. 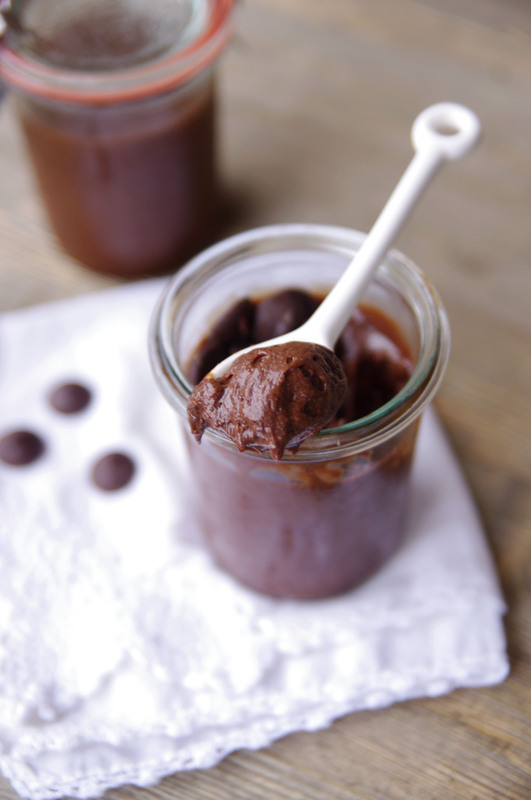 Remove the chocolate mixture from the heat and allow to cool to room temperature. While the chocolate cools, beat the egg whites and salt at medium high speed until stiff peaks form. Beat in sugar. Using a spatula, gently fold the egg whites into the cooled chocolate mixture. Pour into ramekins or small glass jars. Cover or seal with a lid and chill for 3 hours up to overnight. Serve chilled. Yields two ramekins or three small jars. We’ve pulled together some simple recipes that are full of warmth, spice and everything nice. The cozy flavors of cinnamon, nutmeg and ginger complement sweet fruits and salty nuts and turn them into magical combinations that conjure the fondest holiday memories – a welcome distraction to simpler times. These spice, fruit and nut combinations are like a hug from the inside out, which we could all use these days. You can whip any of these up with little effort and take them to a party or a friend who could use a pick-me-up; or put them out for some company. Stir all ingredients together in a large pitcher. Chill for at least two hours. 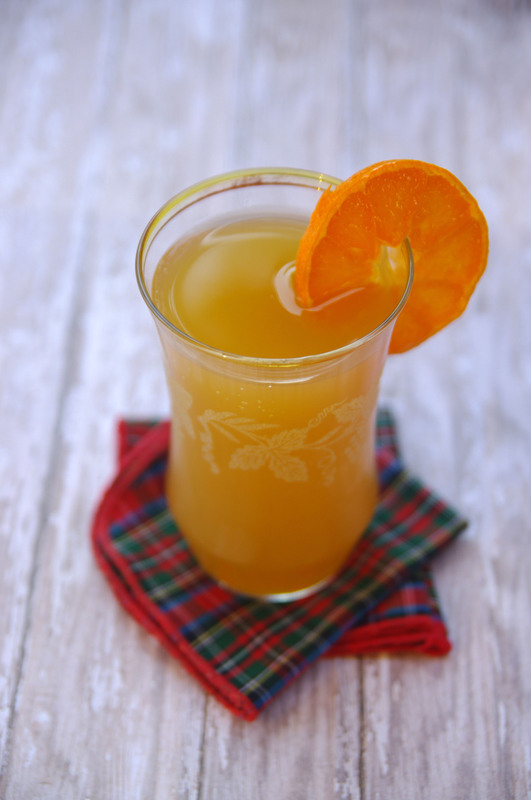 Serve in a highball glass over ice with an orange slice. Yields at least 8 to 10 glasses. Preheat oven to 350 degrees Fahrenheit. Slice the rind off the brie and place the cheese in a small, oven-safe bowl. Melt 2 tablespoons butter over medium-high heat. Toast walnuts in butter. Chop apple into small pieces. Add to the walnuts. Season with nutmeg. In a small sauce pan, heat brown sugar over medium heat. Add cream, remaining 2 tablespoons butter, vanilla puree and salt. Cook stirring occasionally for 5 to 8 minutes or until the caramel thickens. Stir the apples into the caramel. Spoon the caramel apple mixture over the brie. Place the brie dish in a rimmed baking sheet to prevent sauce from bubbling over onto the oven. Bake for 15 to 20 minutes or until cheese is melted. 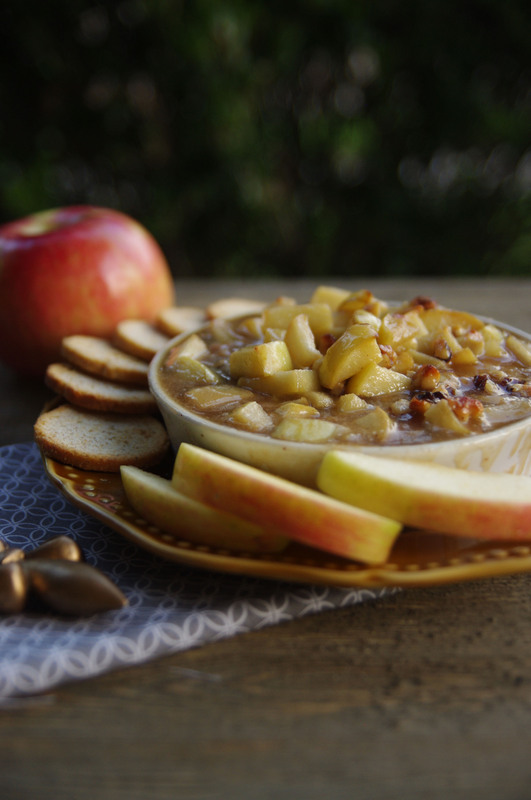 Serve warm with extra apple slices, sturdy crackers or a baguette. Serves 4 to 8 people. Cream shortening, sugar and egg. Add milk, vanilla and hazelnut extracts, mixing well. Gradually add flour, baking powder and salt. Cover dough tightly and chill for 8 hours to overnight. Roll dough into a rectangle, about 1/4-inch thick. Gently spread the fig preserves evenly on the dough, leaving an inch of space all around. 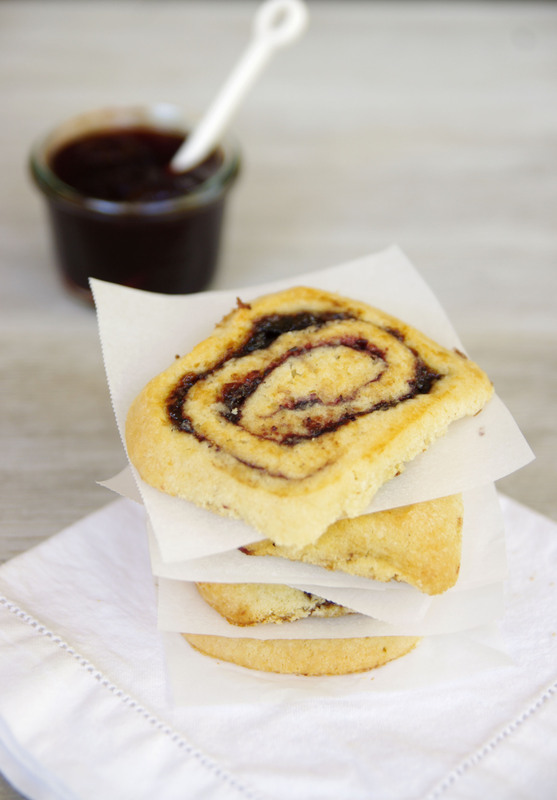 Roll up the dough like a jelly roll and wrap in plastic wrap. Chill or freeze until firm enough to cut. Preheat oven to 400 degrees Fahrenheit. Grease a small baking sheet. Slice the chilled roll of dough into 1/4-inch rounds. Place on prepared baking pan. Bake for 12-15 minutes or until the cookies just start to brown. Cool on racks. Seal in an air-tight container or share with company. Yields 12 to 18 cookies. Anytime is a good time to give back. I tend to scatter little contributions everywhere and throughout the year. One such small act is making homemade merchandise for my church fair’s sweet shop. Sweet shops or bake sales are a great method of fundraising. It’s easy to set up and manage and easy for people to contribute donations or “merchandise.” As far as contributions go, sweet shop donations are very affordable on effort, time and money. Don’t underestimate the power of a bake sale for fundraising. If you help add to the high quality inventory, cakes, cookies, pies and more will bring in more than you expect. I almost always contribute a big pound cake, or several small ones, and my oldest daughter makes her specialty – traditional chocolate chip cookies with double the chips. This year I’m also throwing in some sweet pepper jelly for those customers looking to fill the sweet tooth cravings that hit before dinner. If you want to your homemade goods to move and at top dollar, presentation is key. For the cake, I buy one of the cake boxes with a clear window in the top. If you want to make smaller cakes, there are some square cupcake boxes with clear tops that will work just well as mini cake boxes. Tie the boxes up with a little ribbon or bakers twine and they’ll fly off the shelf in no time. Package small items like brownies or cupcakes in clear boxes or bags tie with a ribbon. Be sure to place enough to a serving or two depending on the size of the treat. For medium to smaller cookies, put four cookies in the bag. For larger brownies, package two or three. This will help those setting up the shop to price and sell them as individual servings. Another tip for moving sweet shop merchandise is to include the recipe. There are so many different, dangerous and complicated food allergies out there; no one can be too careful. It’s a great help to shoppers for contributors to include the recipe so they can see exactly what’s in the treat before they buy it (or avoid it if they have to). Print the recipe on a cute little card and tie to the top of the package or write the recipe down on an index card and attach it to the box, bag or other container. Be sure to let everyone know if there are nuts involved because, all allergies aside, not everyone is into nuts. Making your sweet shop donations as appealing as they can be and making it easy for shoppers to see what they’re buying will make your contributions top sellers. Be sure to volunteer some time to work the sale, too. No one can sell your famous fudge better than you can. We have had more than our share of fundraising needs over the past few months in our city. A simple little sweet shop or bake sale is a great way for anyone of any age, to contribute in some small way to the charity or cause of their choosing. While they may not equal a celebrity telethon in funds raised, the treats and social interaction of a sweet shop bring smiles and lift spirits. Read more in City Social. Pick up a copy around town or read the Sept/Oct issue online now. Preheat oven to 350 degrees Fahrenheit. Cream butter, shortening and sugar in a large mixing bowl. While mixing at medium speed, add eggs one at a time, beating well after each. Alternate adding flour and soda, beginning and ending with flour. Stir in vanilla and lemon juice. Pour batter into a well-greased Bundt pan. Bake for one hour. Check until a cake tester comes out clean. If the cake needs more time, lay a sheet of foil over the cake to prevent it from browning too much. Once done, cool in the pan for 10 minutes then gently turn the pan out onto a cooling rack. Yields one large Bundt pan or 4 petite Bundts. Remove seeds from peppers. Mince in food processor. Bring sugar, vinegar and peppers to a boil. Boil for 10 minutes. Add Certo and boil hard for 1 to 2 minutes. Pour into warm sterilized jars. Yields 6 to 7 half-pint jars. The lazy days of summer give us more time to spend with friends, which means it’s a great time to kick off a supper club! All you need are a few willing couples to agree to take turns hosting the group for dinner. I set the recipes below to follow a French bistro theme, simply because I needed to reign myself in to a menu. Your supper club menus can be as casual or as formal as your group prefers.Have your guests help out by bringing wine, beer or cocktails that might complement the meal. Preheat the oven to 400 degrees. Melt the butter over low heat in a small saucepan and stir in the flour all at once. Stir constantly until the flour absorbs the butter. Slowly pour the milk into the butter–flour mixture and cook, stirring constantly, until the sauce is thickened. Remove from the heat add the salt, pepper, nutmeg, 1 cup grated Gruyère and set aside. Butter the insides of the rolls or bread. Layer the jam, ham, arugula and some of the remaining shredded Gruyere cheese. Spread Dijon mustard on the bottom of the top bun and place it on top of the sandwich. Spread the cheese sauce on the top of each sandwich, sprinkle any last Gruyère, and bake the sandwiches for 5 to 8 minutes. Turn on the broiler and broil for 2 minutes, or until the topping is bubbly and browned. Serve hot. Cut the potatoes lengthwise into thin strips, about 1/3-inch in width. Soak the potatoes in ice-cold water for 1 hour, drain, and pat completely dry. Heat the oil in a deep fryer or deep skillet to 325 degrees Fahrenheit and fry the potatoes, in batches, for 2 minutes. Drain the fries on paper towels. Fry the potatoes for a second time, in batches, for 1 to 2 minutes more. Drain the fries on cooling racks lined with paper towels. Place the fries in a large bowl. Season them with the salt then drizzle them with the truffle oil. Then toss them until coated. Sprinkle them with grated cheese and fresh parsley and toss again until seasoned. Reheat on a baking sheet at 350 degrees for 5 minutes. Preheat oven to 300 degrees Fahrenheit. In a large bowl, whisk eggs and sugar together until thick and pale yellow. Add cream, and vanilla. Line a glass casserole dish with paper towels or a dish cloth. Set the ramekins on top of the towel. Strain egg and cream mixture into bowls, skimming off any bubbles with a spoon. Pour water into the bottom of the pan until it reaches half way up the ramekins. Bake for 50 minutes or until the mixture is set around the edges but slightly loose in the center. Let the ramekins cool in the pan. Then refrigerate for at least 2 hours up to 2 days. When you’re ready to serve, spoon enough granulated sugar over the tops of each ramekin. Heat the sugar with a kitchen torch or place under your oven broiler until the tops are browned slightly, but not scorched. Serve immediately or chill for no more than 1 hour. Most of us women, by nature, are social creatures. We like to nurture and be nurtured for our own mental and physical health. Sharing a healthy meal together is one way to do that. Spending time connecting socially, whether chatting over happy hour specials or sharing a table with friends at a restaurant or at home regularly has been shown to increase happiness and lower the risk of depression. The simple act of gathering around the table helps establish connections, which studies have found are important in staying happy and feeling a sense of belonging. Because we live in a 24/7 environment today, we often find that we’ve put productivity over pleasure for too many days. Sharing a meal with your friends is a great excuse to slow down, stop, sit still and simply catch up. Sitting at a table together talking and eating may be one of the few times we are ready to put aside work or household business and take time out of the day. Don’t let another week or month go by where you haven’t seen your best friends. Make a plan today to gather some people together around food, sit down together, talk, eat and enjoy each other’s company! Read more in City Social online or pick up a free copy around town today! Preheat oven to 425 degrees Fahrenheit. Wash the beets, pat the dry and wrap in a foil pouch. Bake beets in foil for 1 hour. Once cooled, peel the beets and slice into 1/4-inch slices, then cut the slices in half. While the beets are cooling, whisk together the juice, oil, honey, vinegar, salt and pepper together in a small bowl. 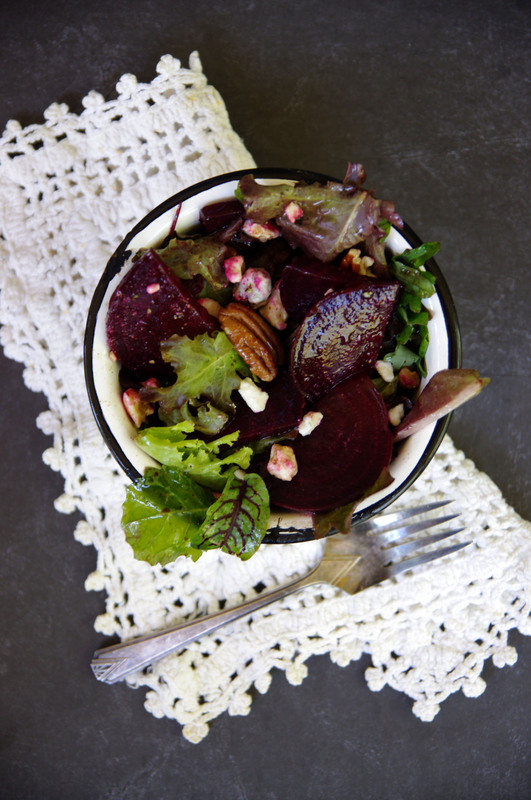 Toss the beets and dressing together with the greens. Top with toasted pecans, crumbled bleu cheese and freshly cracked pepper and serve. In a small bowl, whisk together the lemon juice, olive oil, balsamic vinegar, salt and pepper. 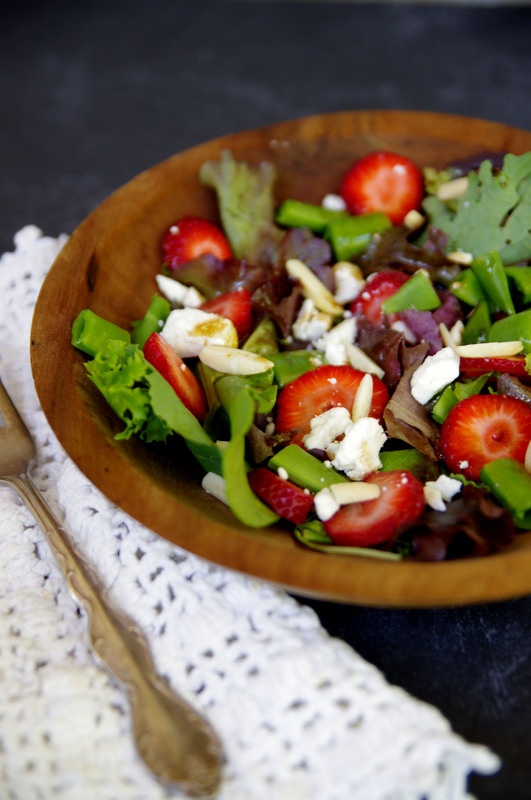 Place the cut snap peas and sliced strawberries along with the fresh greens in a bowl. Drizzle the dressing over the salad and toss to coat lightly. Top with almond slivers and goat cheese crumbles. Add extra freshly cracked pepper, if desired. Stir nutmeg into mascarpone cheese, then spoon an even layer of cheese into four dessert dishes. Divide berries between the four dishes on top of the cheese. In a small saucepan over medium-high heat, stir together juice and sugar. Simmer rapidly until slightly syrupy and reduced by half. Remove from the heat and add almond extract. Drizzle warm syrup over berries and cheese. Sprinkle with almonds and orange zest. Serve immediately.